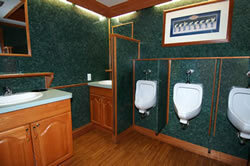 When you rent portable restrooms you deserve good service. 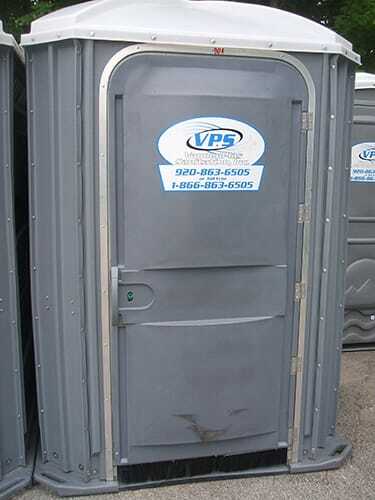 At VandenPlas Sanitation, Inc. we pride ourselves in delivering exceptional service. 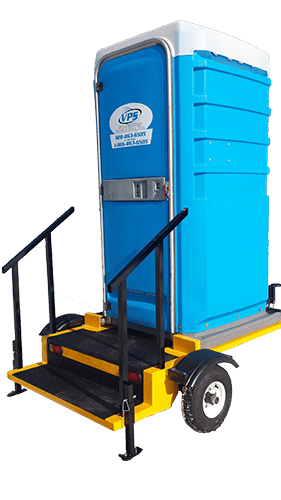 Whether you need portable toilets for a construction site or a job site or special events, you can count on us! 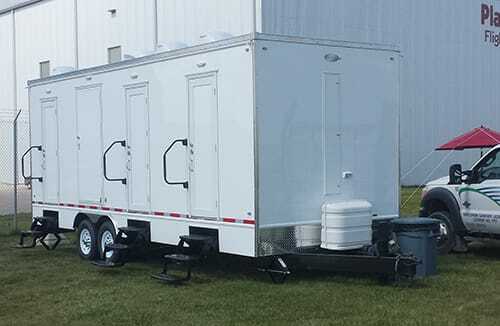 We offer a wide variety of portable sanitation solutions for rent. 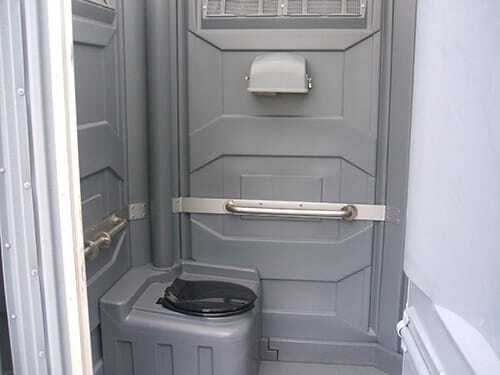 Our porta potty's are made of high-quality materials so you know they’ll be functional and reliable. We take a proactive approach and work closely with event planners to ensure there are enough facilities and they’re appropriately placed. You’ll feel confident requesting changes about the placement of your units because our team members are courteous and helpful. We’re on time and dependable so you can concentrate on other responsibilities. We’re committed to continuous education and professional development so we can promote health and safety to our customers. 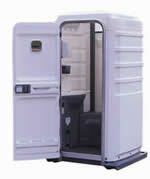 Our drivers are certified by the Portable Sanitation Association International. We’re also licensed and insured by the State of Wisconsin, and we’re members of the Brown County Home Builders Association. 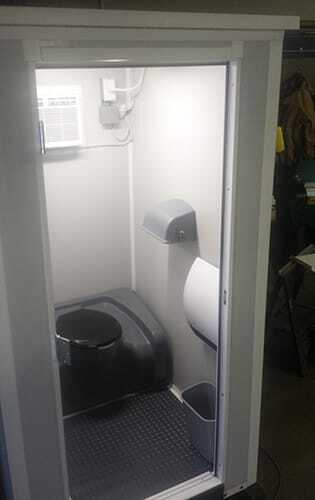 Our standard portable unit is well ventilated and includes a toilet and a urinal. Rental is available in Appleton, Algoma, Green Bay, Kaukauna, Kewaunee, Kimberly, Little Chute, Manitowoc, Menasha, Sheboygan, Sturgeon Bay and surrounding Northeast Wisconsin cities. 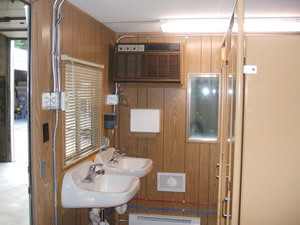 This unit is equipped with a sink, paper towels, soap dispenser, mirror, coat hook, and flushing tank. This unit is 26% larger than our competitor carries. 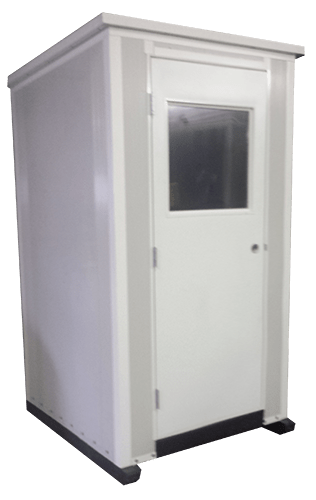 This unit is perfect for long-term use in locations where extreme heat or cold make traditional portable units inconvenient. 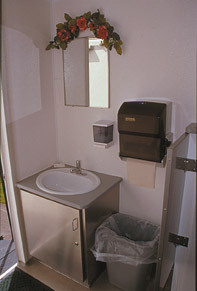 These vented units include light, toilet, urinal, sink, soap dispenser, and paper towel dispenser. 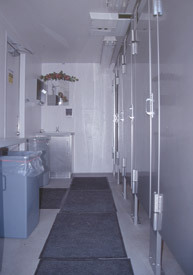 This unit is wheelchair accessible, well ventilated and includes toilet, safety hand rails, and hand sanitizer dispenser. 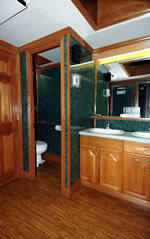 These comfortable units include a sink in each side, towel and soap dispensers, and a mirror. The men’s room has one urinal and one toilet. The women’s room has two toilets. 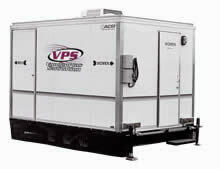 Both units are well ventilated and have heat, air conditioning, and good lighting. This unit has two sinks on each side, towel and soap dispensers, and a mirror. The men’s room has two urinals and two toilets. 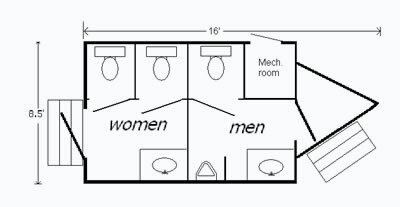 The women’s room has five toilets. 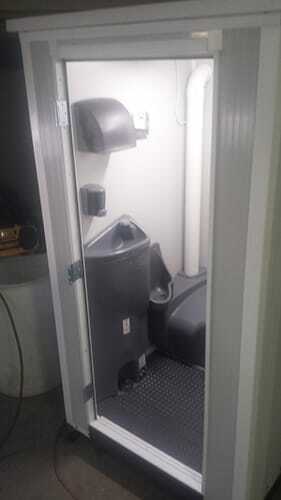 Both units are well ventilated and have heat, air conditioning, and good lighting. 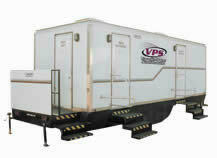 This unit is perfect for upscale events like weddings or events where a more homelike atmosphere is called for. 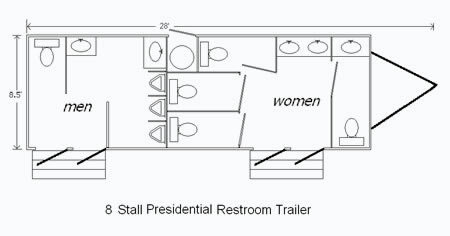 On the women's side are 4 individual toilet stalls, 3 China sinks in oak cabinetry, 1 full length mirror and a dual pane tinted skylight. 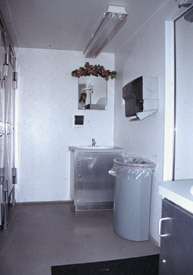 On the men's side is 1 enclosed toilet stall, 3 wall hung urinals, 2 China sinks in oak cabinetry and a dual pane tinted skylite. 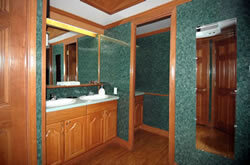 Our Presidential restroom features hot and cold running water, simulated marble walls, fiberglass exterior walls, heating and air conditioning, and surround sound music. 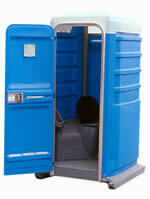 Get true portable convenience with this towable construction restroom unit. 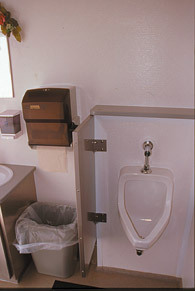 Features urinal, toilet and hand sanitizer dispenser on an elevated platform with stairs and handrails. Big, portable, and nearly indestructible! 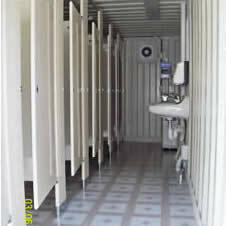 We designed and built these durable portable restrooms specifically for the construction industry.